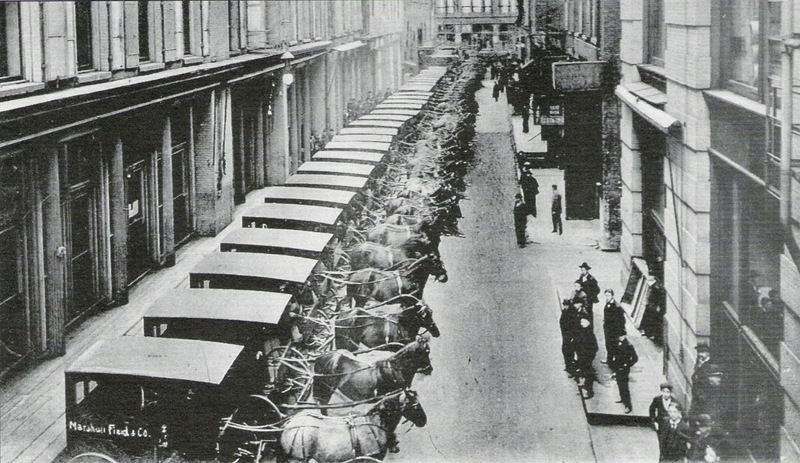 Delivery wagons are lined up neatly in this 1897 image of Holden Court, the alley that traversed the store. Initially, boys made deliveries, toting bundles on foot or via public transportation, but in 1873, the firm switched to wagons. 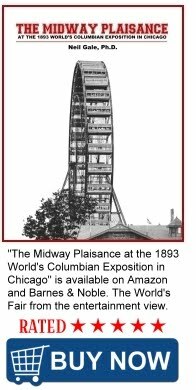 By 1907, Marshall Field's used 700 horses and 300 wagons to cover its 350-square-mile delivery area. Stabling and caring for so many horses required a hefty annual budget of $686,000 ($18,315,547 in 2017).